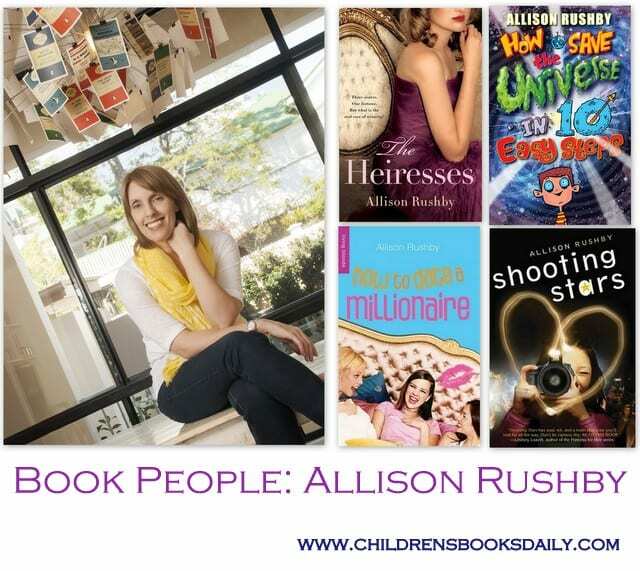 I first came across Allison Rushby when I met her mother, Pamela Rushby, who I featured here some time back. I was chatting to Pamela at a literary function (I see her at every literary function without fail…clearly we get around!) and she mentioned her daughter also wrote. After locating Allison’s webpage and her travel blog, I’ve been reading her writing ever since. 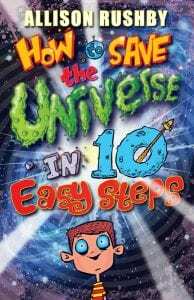 Her latest book, ‘How to Save the Universe in 10 Easy Steps’, is for a younger audience and I have reviewed it here. Allison talks below about hoping that people will look up from their phones a little more and slow life down and I couldn’t agree more. Regular readers can probably tell from my Facebook feed that I am rather attached to my phone and I do love recording my life in a visual way on Instagram. But I’ve been pondering all this myself lately, and now at least have the phone just sitting on the kitchen bench when we are all at home as opposed to in my pocket! A friend and I also challenged each other to only check into our personal (not work) Facebook pages twice a week and this has been a good limit to put on ourselves. So I’m with you on the slowing down Allison! Thank you for joining me here today. English was my favourite subject at school and I majored in journalism at university. Writing books, however, was always in my blood (my mother is also an author—Pamela Rushby). I didn’t write my first novel until I was just out of university, but I haven’t stopped since! I drop both my kids at school and then either head to the gym for an hour, or go straight home and get writing, or editing, or replying to the five thousand emails in my In box (coffee may also be involved). 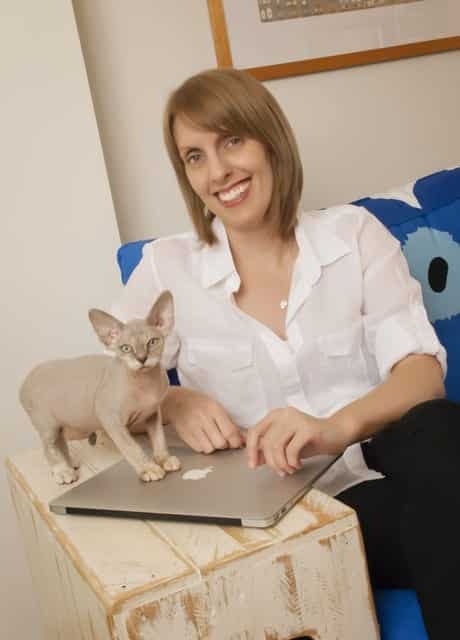 My Devon Rex cat, Claudia, “helps” me most days by dancing on my keyboard, or settling down for a sleep in my lap just as I’m thinking about getting up. I’m very lucky and have just had a lovely new study built in. My favourite thing about it is the big glass panel on the wall where I can write notes, or quotations, or reminders to myself to add something or other in to the next draft of what I’m writing. I’m currently writing a story set in an old cemetery in London and the quotation that is up there now is from Thomas de Quincey, “I was buried for a thousand years in stone coffins, with mummies and sphynxes, in narrow chambers at the heart of eternal pyramids”. Spooky! Write something you’d love to read! I think younger writers often believe there is a “proper” way to write, but the only way to develop your voice is to write naturally and to write something you’d love to read yourself. Be authentic. I think I’m quite drawn to cross little characters! My kids and I read Frances Hodgson Burnett’s The Secret Garden, E.B. White’s Charlotte’s Web and Kate DiCamillo’s The Miraculous Journey of Edward Tulane in a row and I really adored cross Mary, Charlotte (who can be a bit cranky at times) and snobby Edward. Cooper’s sister, Molly, in How to Save the Universe in Ten Easy Steps, has her cranky pants on a lot and she was a really fun character to write. Ooohhh, that’s a tough one. I’m not good for much else! Maybe a blogger. I wrote a travel memoir and a blog when I lived in the UK for a year and I really enjoyed doing that. It’s interesting to see all the different sorts of journalists there are now compared to when I went to university. I’m pretty crazy about corn chips. I do sometimes wonder (usually when I’m eating corn chips) if I could actually eat them for every meal and be perfectly content. I think so! I can’t listen to music at all when I write—it distracts me horribly. I’m actually a bit funny about music. I prefer quiet to music at all times. Which is strange, because my brother loves music and isn’t into books at all. I think there are always elements of things that have happened to me, or experiences I’ve had, or that friends have had, but I don’t tend to put real life detail into my books because I know other writers who’ve done this and it sometimes doesn’t end very well! The funny thing is, if you do add a small something into a book intentionally (a mannerism a friend has or similar) they can never see it! I’m starting to realise that we all need to slow down and look up from our phones. There doesn’t seem to be much time left anymore for sitting and pondering and this is where the best books come from. Yes they are both very talented! Pamela actually has a stack of books which are suitable for 9 and 11 year olds!